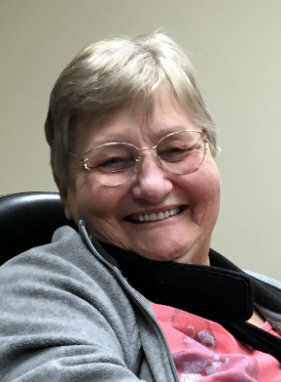 Sharon Kay Johnson, 74, West Plains, Missouri, died 2:27 a.m., Thursday, February 7, 2019 at Brooke Haven HealthCare, West Plains. Mrs. Johnson was born August 5, 1944 in Oregon County, Missouri to Carl O. Johnson and Agnes Sandridge Johnson. She had been married for over forty years to James Rockwell and before her retirement, she had been a truck driver. Mrs. Johnson loved her family; she enjoyed the time she spent visiting with her family and loved to hunt and fish. She was a Christian. She is survived by three children, Jennifer Smith, Crossroad, Texas, Nickie Johnson, Eminence, Missouri and Rodney Rockwell, Lee’s Summit, Missouri; three grandchildren, Deandre, Karessa and Adrienne; two brothers, Roy Dean Johnson, Birch Tree, Missouri and Joe Johnson, Alton, Missouri; three sisters, Shirley Hardwick, West Plains, Missouri, Phyllis Cropper, Rover, Missouri and Norma Miller, Doniphan, Missouri; and many nieces and nephews. Her parents and one brother, Robert, preceded her in death. Private Celebration of Life Services will be held. Memorial contributions may be made to the Family or American Cancer Society and may be left at Robertson-Drago Funeral Home.